Deciding to put a wood floor into a room, house or business is a big decision. The expert craftsmen from FK Floor Sanding guide the client in terms of selecting the best type of wood floor for the premises in question. Regardless of which wood flooring option the client selects the first step must be thorough sub-floor preparation. We also test for moisture as this must be dealt with before wood flooring can be installed. This applies equally to situations where new flooring is being laid over the existing flooring. The preparation involves cleaning the surface well and ensuring that the sub-flood or base is dry and level. Underlay is often used as it cushions the flooring and helps to keep the surface level. If the material that will be underneath the wood floor is prone to damp our experts will apply a damp-proof layer which prevents rising damp. A concrete base requires both damp-proofing and underlay to both keep the wood dry and warmer. This traditional flooring consists of blocks of wood in different sizes and lengths. These blocks allow one to create patterns on the floor. A classic design is a herringbone pattern. However, one of the great benefits of parquet flooring is that the client can specify a design. Installation begins with careful measurements and planning so that the desired pattern is achieved. This stage is in fact the most time-consuming. Laying the blocks is relatively quick. After all the tiles or blocks are laid an equivalent of grouting is used to fill the very small gaps between the blocks. The floor is cleaned, sanded, buffed and then sealed or finished. We are equally experienced with laying hardwood floors. These floors can be laid over other flooring types and even directly to joists. In many cases our craftsmen use damp-proofing and or underlay to protect the wood and ensure the sub-floor is level and dry. Using floorboards to lay a floor is certainly less complicated and time consuming that parquet flooring. Where the skill lies is in preparing the sub-floor correctly and fastening the boards in the most effective and unobtrusive way. We have both the skills and the equipment needed to perform all of these. Tour teams are also highly skilled at using fastening techniques that are both appropriate for the material and unobtrusive. Based on the individual site we decide which fastening method to use. This is not wood flooring but it looks as though it is made of a natural material such as wood. This material is very quick and easy to install as each section of laminate fits into the next one. This means that a fastening material such as glue or nails is not needed. However, this material needs a flat, even and dry sub-floor too. We have all the tools required to trim the laminate boards with precision. Regardless of the type of flooring the client selects FK Floor Sanding brings all the required materials, equipment, knowledge and experience. We guarantee a high quality result; all the client needs to do is enjoy their new floor. For more information of to schedule an appointment please call us on 020 3909 7641. 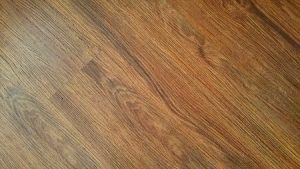 Once we have assessed the site and the client has selected flooring type we will provide a quote for our wood floor fitting services in London.